Villa Bella, a remarkable custom estate captivates hearts and minds with it's stunning, richly designed features. 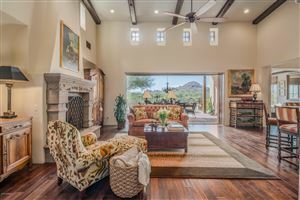 On the 7th fairway at Whisper Rock, this home offers everything for a luxury lifestyle.Beamed ceilings, brick archways, oak flooring, travertine, & French doors, convey the quality & style. The chef's kitchen offers expansive counter space, Sub Zero & Viking appliances, a center island with vegetable sink, an 8 burner gas range with griddle & double ovens, separate wall oven, & warming drawer. Custom cabinetry, stone & granite countertops & wine room complete this remarkable space. The bedrooms are all en-suite. The master includes a seating area & canterra fireplace. 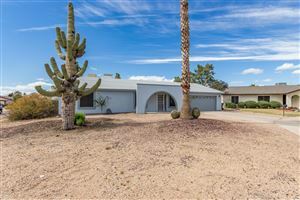 There is a separate casita with kitchenette & full bath. The home theatre offers the finest entertainment. We respect your online privacy and will never spam you. By submitting this form with your telephone number you are consenting for Becky Kitson to contact you even if your name is on a Federal or State "Do not call List". Data last updated 4/26/19 12:48 AM PDT.